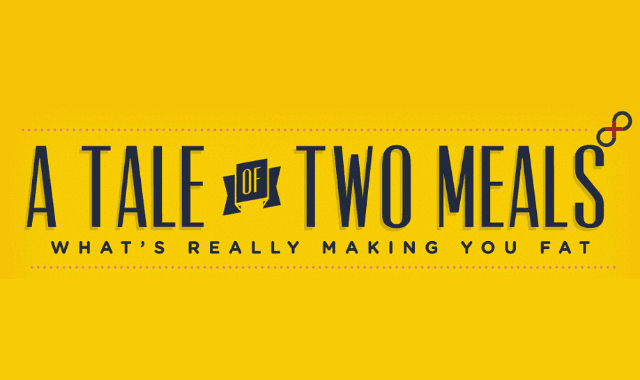 A Tale of Two Meals #Infographic ~ Visualistan '+g+"
Imagine that it’s time for breakfast. You have two choices: A plate of bacon and eggs or a bagel and low-fat cream cheese. Both are tempting decisions, but which one will make you fatter? Find out the answer below in this infographic created with Massive Health.